What does PAT stand for? PAT stands for Portable Appliance Testing. 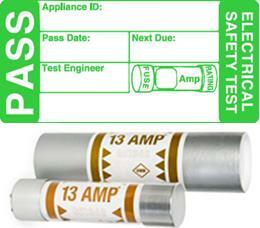 The HSE require that any electrical equipment with a mains plug on it, must be maintained such that it is safe for use. The best way to ensure this, is to have your equipment regularly P.A.T. tested. Depending on usage, it is suggested that an annual check is undertaken with formal visual inspection carried out in between. Failure to maintain electrical equipment in a safe state could result in hefty fines or worse, if an accident occurred. If your equipment is used on a regular basis, for example by a touring company, or if you are in a band, the period of inspection should be no less than every three months. If you are in a purpose-made theatre or fixed venue such as a bar or night-club, then the period of inspection should be no less than every twelve months. The tests are carried out using a specially designed testing machine. These machines “look inside” your equipment and perform various checks such as measuring earth and insulation resistance, flash tests and load tests. These units will also have a built in memory so that the tester can print off the results which need to be logged and filed in case anything is brought into question at a later stage. CPS Technical Services are able to carry out PAT testing for you and supply you with copies of certificates for as little as £3.50 per item. Be safe rather than be sorry. Further information is available upon request.